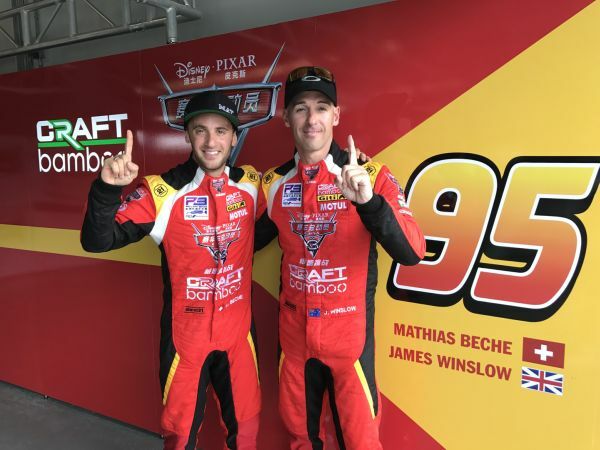 Craft-Bamboo Racing took victory in Sunday's main FRD LMP3 Series race, with the #95 of Mathias Beche and James Winslow running a perfect race from pole position to score a dominant win. The #20 of Alex Tagliani and Greg Taylor also put in a stellar performance, coming back from P9 to claim P4 by flag fall. Race one was a challenge for the team, with the #95 car being spun around while leading the race on the first lap, dropping them to last place and ruining their chances of victory. The #95 pairing fought back though and managed to finish in P8, behind the #20 of Tagliani and Taylor in P6. It was a strong start to the season for Craft-Bamboo, proving that both lineups will be challenging for podiums throughout the season. Thanks to their success this weekend, the #95 Ligier now leads the drivers' championship with 29 points, while the #20 Ligier sits in P5 with 17 points. 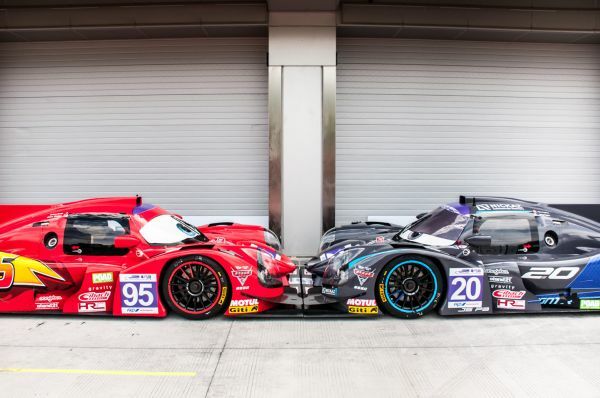 The team looks ahead to round two in Shanghai later this month to continue their success with Disney_Pixar, the 'Cars' franchise, and the Lightning McQueen and Jackson Storm inspired Ligier JS P3s. James Winslow kicked off the inaugural FRD LMP3 Series race from P2 on the grid and made a challenge up the inside of turn one but was pushed wide by the lead # 33 Ligier. Winslow fought back and soon took the lead half way through the first lap. After managing to squeeze ahead of the #33 Ligier, he was tapped in the rear and spun, relinquishing him to last place and ruining their chances of a top result. Winslow got back up to speed and focused on reclaiming as many places as he could before he had to hand over to teammate, Mathias Beche. Winslow did a stellar job to make it up to P7 by the opening of the pit window, allowing Beche to rejoin the fight in P8 and charge to the chequered flag. Beche quickly found the pace and overtook the #7 Ligier to slot in behind the team's #20 sister car in P7. Beche then proceeded to close the gap on Alex Tagliani in the #20 Ligier, setting the fastest lap of the race in the process. Over the course of the race, the pair had an intense battle, mimicking the 'Cars' franchise rivalry of Lightning McQueen and Jackson Storm. With just under 10 minutes left of the race to go, a red flag was waved and the race was suspended. Beche was heading for a top-five finish but the stewards ultimately decided that the race would not be restarted due to heavy rain, which forced Beche to finish the first race of the season in P7. The #95 was then given a post-race penalty, dropping them one place further down the order for a recorded P8 finish. Greg Taylor got the #20's season kick started from P9 on the grid and made good progress to take P7 by the end of the first lap. Taylor was looking strong but a spin halfway through his stint dropped him down the order to P11. The Australian did well to close back in by the time he pitted to change to, Alex Tagliani. This allowed Tagliani to get the jump on the #95 sister car and rejoin the race in P6. The veteran driver was pushing the car to its limits and did an incredible job in his first ever competitive outing in an LMP3 car to take the second fastest lap of the race and bring the car to a P6 finish when the race was stopped after a red flag. Alex Tagliani: We had an issue with the gearbox in qualifying, which put us in P9 for both races. This was a big determining factor in our finish today. The car had good pace during the race though and it was great to exchange fastest sectors and lap times with Mathias." Greg Taylor: "We started P9, due to a gearbox sensor failure during qualifying, which only gave me two laps. I got a good start and the car felt amazing and I was able to move up to P6 when I had a spin, then I lost twenty seconds and felt very disappointed." Mathias Beche: "We had a good qualifying, putting the car P1 and P2, but we were not fully satisfied with the balance and I really had to give all I had to get the pole. Unfortunately, on the opening lap, James got pushed out in the first corner and in turn seven I got spun around by the same driver and that costed us the race. I then had a fun race on a damp track. We are still on a learning curve and we showed in the race that we made another step forward, getting the fastest lap by more than six tenths." James Winslow: "Craft-Bamboo gave us the fastest car today and unfortunately we were taken out from the lead on the first lap. We came back through the field to score some points and Mathias drove a great stint." Mathias Beche was on pole position in the #95 Ligier and he executed a perfect rolling start to begin edging away from the pack. As the race progressed, Beche continuously expanded the gap with his precise driving style and managed to enter the pits close to 10s ahead of second place. Winslow rejoined the race in P3, just behind the #20 sister car and had to find 4.3 seconds to catch the leader. A fantastic battle between teammates unfolded over the coming laps, with the Jackson Storm and Lightning McQueen counterparts vying for position before Winslow could squeeze by and continue his chase for P1. Winslow's driving was impeccable and he soon caught the lead #18 Ligier and quickly capitalized on a mistake to dart up the inside and claim P1. Winslow charged to the flag and built up an eight second gap to cross the line in first place and take the full 25 points for the #95's championship challenge. Alex Tagliani made good ground in his #20 Ligier on the rolling start, jumping two places to take P7 and get Sunday's main race underway in strong fashion. Tagliani had great pace and soon closed on P6, but the Canadian found it difficult to pass on the short and narrow Zhejiang International Circuit. Tagliani kept close and soon made a move stick, passing the #17 Ligier after a big battle. The #20 driver was on a charge and by the race's mid-point passed the #7 car to move up into P6 before the pit stop window opened. Tagliani stayed out for as long as he could, building the gap before he changed to, Greg Taylor. Taylor rejoined the race in P2 and put in a great performance, enjoying a great fight between the #95 sister car before eventually being passed. Taylor was doing a fine job behind the wheel and was bringing the car home in P3 but an unfortunate spin in the race's final moments caused him to lose a position and finish P4, still collecting a chunk of points in the process. 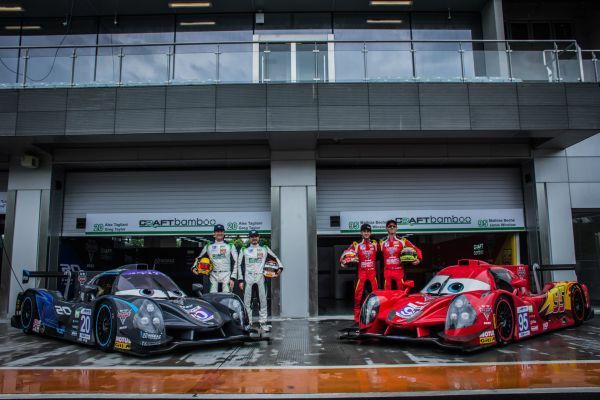 Richard Coleman, CEO of Craft-Bamboo Racing: "It is fantastic that our first weekend in the FRD LMP3 Series netted us a win and both cars showed great pace, which is a credit to the team, given the lack of time they had with the cars pre-season. It is great to see this series up and running and we look forward to building a championship campaign from here on in." #20 Ligier JS P3 - Alex Tagliani: "I had to battle with a lot of people and wasted a proportion of the race being behind slower cars. It is a short circuit, difficult to pass and there was a lot of blocking going on out there. Never the less, we were in a position to finish on the podium but an incident on the last lap put us in P4. It was great to work with the team and everyone did an awesome job. I think we will be even stronger for the next round in Shanghai and will be fighting up the front." #20 Ligier JS P3 - Greg Taylor: "Starting P9 again today after the gearbox issue in qualifying was always going to make our job hard. Alex did a great job in his stint but was stuck behind a slower car for quite some time and the track is very difficult to pass especially when the other car is over defensive. I got in the car and it was feeling great for the first five laps. I had a great battle with Lightning McQueen who eventually passed me into turn one. After that my tyre pressures must have spiked as rear grip was very difficult but we pushed on and ended up catching P2. One moment's lapse of concentration cost me the position and I spun out of turn nine putting the power done on the curb. I finished P4 and I am very happy overall. This was a very good start to a new series and when we qualify well, we will be in the hunt." #95 Ligier JS P3 - Mathias Beche: "What a race! Bringing our Lighting McQueen car from pole to victory with a new track record was a great journey. Big credit goes to our boys from Craft-Bamboo Racing, they did a fantastic job, as well as my teammate, James. We couldn't expect more for the opening round. I'm really pleased to be part of this project. The championship is competitive and many different cars have a chance for victory, well done to the FRD organization. We are now leading the championship and I can't wait to be in Shanghai for round two!" #95 Ligier JS P3 - Mathias James Winslow: "We had the perfect race, winning the main event after we led from the green light. We then fought our way back to the front after our two-minute maximum compulsory pit stop time. My co-driver Mathias and the whole Craft-Bamboo team were exceptional all weekend and the #95 was lightning quick all weekend." Asian Le Mans Series: Podium for the BMW M6 GT3 in Fuji.